You have heard me talk previously about my adoration for Nelvana of the Northern Lights, Canada’s first Superheroine, now you can hear from one of the brilliant women who brought back this figure of Canada’s comic book history and republished the Nelvana comics. In our interview, Hope Nicholson talks about her newest comic book recovery project, bringing Brok Windsor, WWII era Canadian comic superhero back into the light. We discuss the relationship between Canada and the landscape, feminism and comics, Canadian comics, the role of the comic book archivist, adventure stories, and the wonders that comprise Brok Windsor. I hope that you are as enthralled with Hope’s brilliance and passion as I was. Image courtesy of Hope Nicholson, and Rachel Richey. I met Hope Nicholson and Rachel Richey at the recent Fan Expo Canada where they revealed that they were working on an archival project about the Canadian comic book character Nelvana of the Northern Lights, one of the world’s first superheroines in a field that was largely dominated by male superheroes. Nelvana predated Wonder Woman and paved the way for the inclusion of women in heroic roles in comic books. 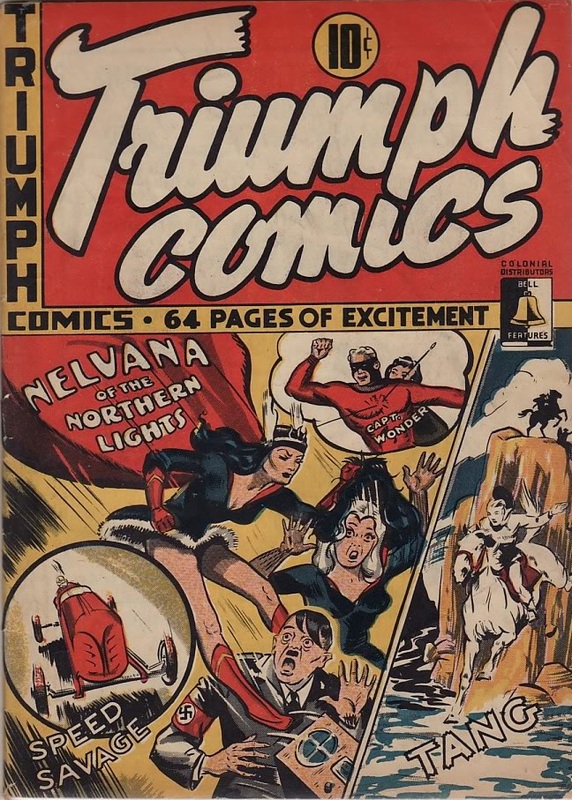 Rachel Richey and Hope Nicholson revealed that they were seeking to resurrect Nelvana of the Northern Lights, re-publishing some of these Canadian comic book history gems. I am fortunate that they were willing to share some of their insights with us here on Speculating Canada. Spec Can: Hope and Rachel, could you tell us a little bit about yourselves to begin this interview? Hope Nicholson: Sure, I’m a producer for the upcoming documentary film Lost Heroes (directed by Orphan Black and Bitten writer Will Pascoe) and work fulltime in the media industry. I have a BA in communications and film studies from York U, but I’m from Winnipeg originally. Rachel Richey: I have a background in English and Journalism, and have worked in communications. I worked for Library and Archives Canada on the John Bell collection of Canadian Comics, and write a history blog referencing Canadian comics as well called Comicsyrup, and I did research for Lost Heroes as well. I currently manage a comic shop in Toronto, and work with the Doug Wright Awards and the Joe Shuster Awards. 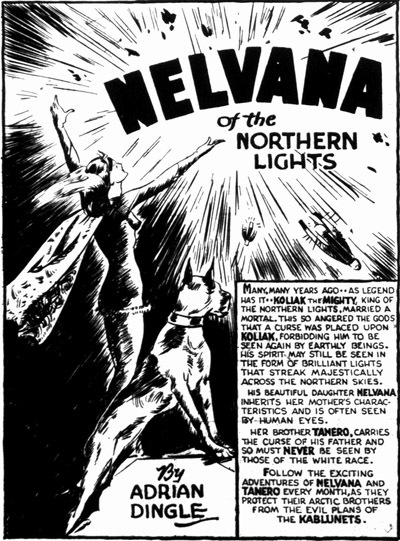 Spec Can: What is the history of Nelvana of the Northern Lights? Spec Can: Could you tell us a little bit about what got you interested in Nelvana of the Northern Lights? What inspired your passion about this comic series? Hope Nicholson: Around 6 years ago, even though I was obsessed with comic books, I had no idea that Canada had its own history with the medium. Finding out about the Canadian Golden Age, thrilled and angered me. These comics are amazing, why were they been pushed into an obscure part of history, they sold millions of issues across Canada! 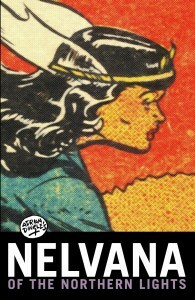 Nelvana was the most compelling of the bunch. You can’t look at the artwork of these issues and not see the skill and talent behind it. The stories were fairly sophisticated for a comic book, but never dragged on. The villains were colourful and charmingly eccentric (ether people, Queen of Static, mammoth men). It was just a fun read and beautiful to look at, even though I had to read badly scanned copies on microfiche! Rachel Richey: Mine is a similar story to Hope’s, actually. About 3 years ago I discovered the same thing and had the same reaction. When I found out what the Archives had I essentially begged them to let me catalogue it. They didn’t actually even know what was in there! Luckily they let me do it (Best job ever) and since then it’s been my prime directive to make people aware of Canada’s comics industry. Nelvana in particular is a favourite, how could it not be? She’s righteous and intense. She’s a babe! She’s tough and interesting, not a run of the mill hero. She’s honest. This comic is quality work and confidently, awesomely, distinctly Canadian. Something that should be within reach to anyone growing up reading comics. Spec Can: What got you interested in digitizing Nelvana of the Northern Lights and making the comics available to the public? Hope Nicholson: As soon as I saw the comics I knew I had to share them with the world, it wasn’t fair that Adrian Dingle doesn’t get the respect he deserves for creating this wonderful character. When I first had access to the microfiche I would go to the library every day after work and copy as many pages as I could to a digital drive before the library closed. I did this until I had the complete run of Triumph comics (32 issues at roughly 60 pages each!) digitized for my own interest. While working on Lost Heroes I discovered who the current copyright holders were and my interest was renewed. With the rise of Kickstarter I realized that the financial burdens of getting these comics digitized, printed, and distributed could be lightened and we could actually do it. So we are. Rachel Richey: During the time Nelvana was published, American comics were off limits to Canadians, as they were not allowed to be imported into the country. What is so amazing about Nelvana is that she had Canadians’ attention to be anything she wanted. Nelvana had an eager audience, and she was never overshadowed by American culture which has never since been the same. Kids could participate in the contests and see the names of Canadian cities in the letter pages. I think what was cultivated both tangibly and intangibly in these pages is something that should have been passed on ages ago, and we’re so desperately excited to do so. 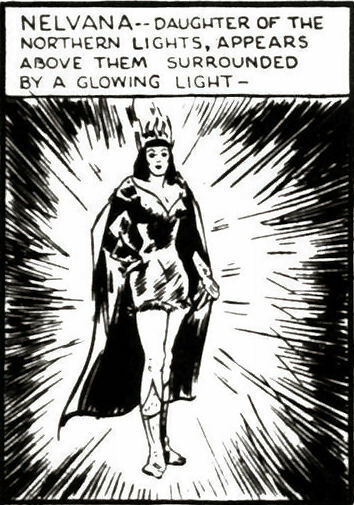 Spec Can: What is different about Nelvana of the Northern Lights from other super heroes or heroines? Hope Nicholson: Her connection to the Northern people is the most prevalent theme in her issues. I won’t say that Adrian Dingle always does the best in his representation, but it’s rare to find representations of the north in comic books today. Even though her powers can be used to injure, she’s a pacifist and is strongly sympathetic to the horrors of war as mentioned a few times in the series. It’s also striking how the series isn’t quite sure what genre it’s supposed to be. It blends elements of crime, sci-fi, adventure and humour comics. Luckily it stays away from romance for the most part. Nelvana has a male companion, the RCMP officer Corporal Keene, but there’s no romantic attachment there. 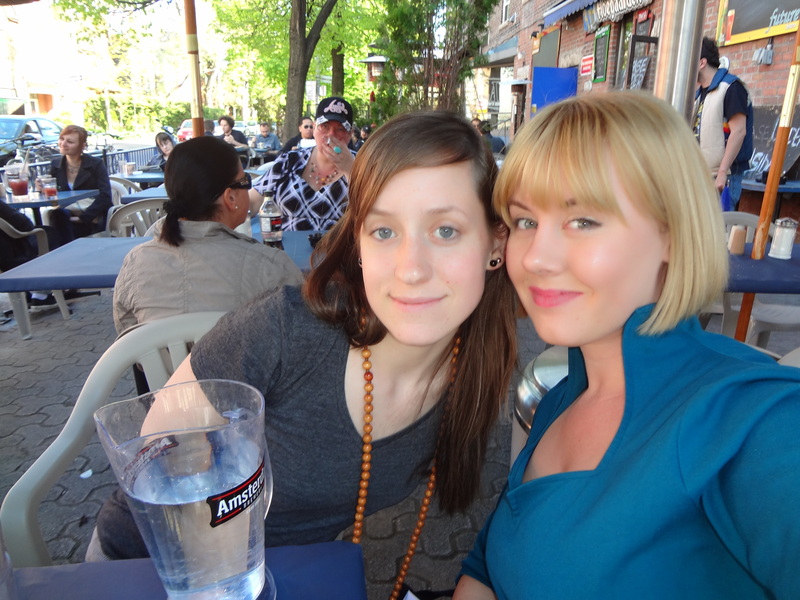 Rachel Richey: I agree with Hope, but my favourite thing about Nelvana is that she is independent. Perhaps given the extra 65 years to develop story line Nelvana would have been swayed romantically, but for the 31 issues, she’s pretty much business and I really think this is a positive role model for women reading comics, and also young girls, who are presented with a singular role model unhindered by excessive romance and more about positively caring for other people and the environment. She’s got her priorities. Spec Can: What do you feel are some of the most important features that a comic book series should have? Hope Nicholson: I prefer a strong serial narrative. I love comics in a way that if I was a different person, I could have loved soap operas. I want to tune in and be on the edge of my seat to find out what happens next. Character interactions with each other and development of personality is more interesting and compelling to me than action scenes, or even elaborate plots. Of course, if they look good that’s always nice too. Rachel Richey: Yeah, I would say that I love dialogue/character interaction and art best. And like most comics during this period, they only got better with age. Dingle’s brush stroke later in the series is to die for. Spec Can: What is particularly Canadian about Nelvana of the Northern Lights? Is there something about her that speaks to the Canadian experience? Hope Nicholson: I like that it doesn’t stick with one genre. We’re a nation where our literature often blurs the lines of expectations. We usually can’t do superheroes unless they’re parodies, because of the strict superhero genre is confining and inaccessible to us. American based creators do strict genre very well, and we’re all pleased to read their superhero comics, and watch their procedural cop shows, but it’s not a format that most Canadians has been comfortable creating in. Nelvana succeeded and is so interesting precisely because it doesn’t need to stay within the confines of the superhero genre. Rachel Richey: Great answer, Hope. Nelvana is around the RCMP. Nelvana is around snow. Nelvana is associated with the North. Fur trim. She’s not glamorous. She doesn’t need recognition. She’s good because why wouldn’t she be if someone else is suffering and she can do something about it? Spec Can: How did Nelvana represent underrepresented groups and how does this differ from most comic book representations of women, aboriginal people, and other underrepresented groups, particularly those of the time? Hope Nicholson: The fact that there is representation of Inuit people is amazing. Adrian Dingle does venture sometimes into either over-romanticizing the ‘tragic northern people’ as was common at the time, and vilifying the Japanese in a way that’s quite jarring to read now. On the whole though, the Inuit people are an integral part of the early Nelvana storylines, which is impressive. I wouldn’t necessarily say it is the most positive representation, since it’s not terribly nuanced or varied. As a woman, Nelvana to me is a great representation. Admittedly, she does get bound in her first few issues and needs to be rescued from her brother, but from that point on she takes control of the story fully. To the point where she tells her one-arc love interest Prince Targa that she doesn’t need to be saved by him. She’s acknowledged as being beautiful, but her attractiveness has little to do with any storylines and isn’t the focus of her character. Rachel Richey: Nelvana is a woman who gives the inuit people a presence in comics in the 40s. I would say gender played about as much role in Nelvana as it did in say, Superman or other Golden Age comics. It was more about the adventure, it was committed to the story. There was no subtext or other purpose than to have this story with these people because it was a good story, which to me is a good enough reason. Like Hope said, in the beginning it wasn’t a perfect portrayal but it was pretty impressive relative to other comics in the 40s. Spec Can: What is the importance of remembering Canadian comic book history? Hope Nicholson: We [Canadians] don’t do a great job of remembering our own history or spreading it. The few of us who are fascinated by it sometimes feel alienated by our interest and so the information stays with us and our like-minded friends. We need to stop that and start bothering people in the world even if they seem bored by it! We need anchors to our past, to our history, so we don’t make mistakes that we have in the past, and so we feel connected to a culture that we’ve all worked hard to create. Rachel Richey: Comics are a beautiful form of literature and storytelling. Beyond the fact that these comics are so original to Canada, they are part of an extremely interesting time in Canadian history. But they’re the foundation of Canada’s comics history and after so many years in the dust they need support. Spec Can: How would you feel about the idea of doing a new run of Nelvana of the Northern Lights comics… a new series or revisioning/ revamping of the comics for a modern audience? Rachel Richey: I would love it! Who knows what the future holds! Spec Can: In what way do you think Nelvana may have inspired the women in comics who came after her? Hope Nicholson: I don’t think she inspired anyone. No one knows about her! But I’m hoping after this project she will inspire some creators. If fans think that modern comics must be more open-minded and progressive than they were in the past, this should open their eyes a bit. Since the Canadian comic industry faded off after the 1950s, there were few enough children who grew up reading Nelvana who actually went into the comic book industry afterwards, even though millions of children at the time did know who she was. Rachel Richey: This is what I meant before. 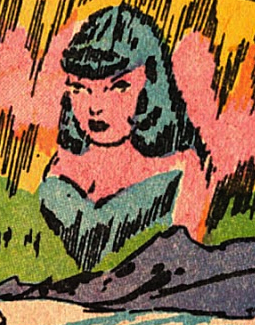 She is part of an amazing foundation of comics that was essentially lost after 1946. Our culture and industry pretty much HAVE YET to be inspired by her. Spec Can: What do you hope will happen with the Nelvana of the Northern Lights project? Hope Nicholson: I hope that when I say Nelvana of the Northern Lights, the vast majority of comic fans will instantly understand who she is and what significance she has to our history, and to the history of comics in general. Rachel Richey: Yep, Hope pretty much hit the nail on the head. I want to make her AT LEAST a comics household name. Hope Nicholson: We were lucky to discover Nelvana because collectors and researchers made hints of information available about her. But who knows what comic characters and history is still hidden? Be modern day adventurers, ask your grandparents what they read, look into old publishers! Curiosity is the strongest motivation for us to get as far as we have. Rachel Richey: Another one, and one that I can’t stress strongly enough, is support small press. You never know what great gems you will find there and you’ll be supporting Canadian produced comics and, I’m sure, inevitably a healthier indigenous comics industry. I want to thank Ms. Nicholson and Ms. Richey for this fantastic interview and voyage into Canadian comic book history, and, particularly, the history of female figures in Canadian superhero comics. I hope everyone else is as excited as I am about the re-release of the Nelvana of the Northern Lights comics and I think that after this interview I am even MORE interested in reading the Nelvana comics. I particularly enjoy the fact that Nelvana seems to appear in this interview almost like another participant – she has become so intense, so powerful, so REAL for Ms. Richey and Ms. Nicholson that she is almost voicing herself in this interview. One can easily see the mythic potential of Nelvana of the Northern Lights based on the way she has evoked such a strong response and LOVE from these two researchers. Thank you to both of these researchers for a fascinating interview and for bringing Nelvana alive for us out of the depths of history. If you are interested in Rachel Richey’s Canadian comic book history blog Comicsyrup, you can explore it at http://comicsyrup.com/ . You can check out information about the Canadian comic book history documentary Lost Heroes that Hope Nicholson is producing at their Facebook site at https://www.facebook.com/LostHeroesMovie .